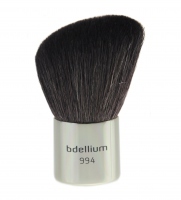 Studio Line - Flat Top Kabuki by Bdellium tools. 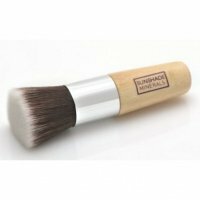 The brush was designed for applying mineral, powders and loose foundations, blushers and bronzers. Ideal for applying liquid primers and creams. The brush was made of high quality synthetic two-colored bristles and embedded on a short metal handle. The plastic tube will facilitate transport and storage of the product.